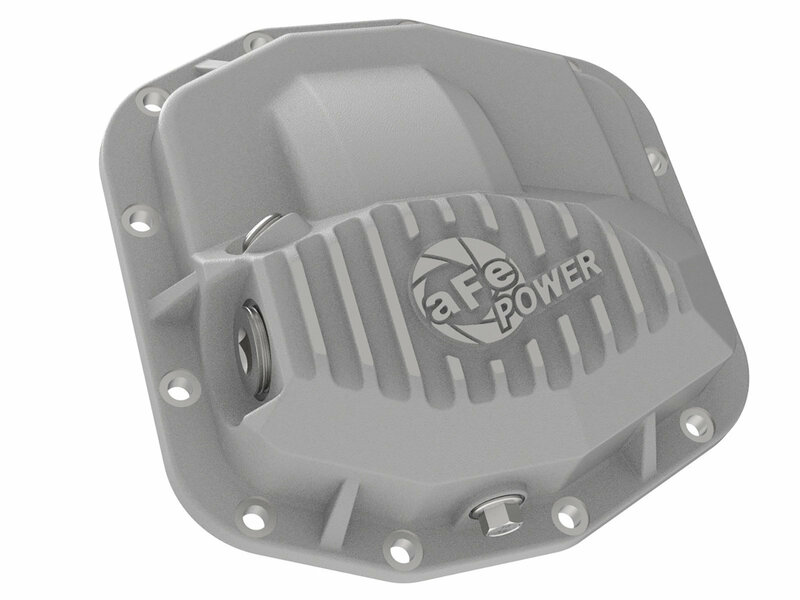 aFe Power's Front Differential Cover for the 18-19 Jeep Wrangler JL 3.6L V6 and I4 2.0L Turbo brings performance engineering to the protection of your Dana M210 axle's differential. This differential cover is constructed out of durable cast aluminum with reinforced ribs for maximum strength. AFe includes all necessary hardware for easy installation. Pro Series differential covers include an oil level sight glass and magnetic deep reach fill plug to eliminate overfilling. This cover is finished with your choice of Red powder-coating, Raw Aluminum, or a Black Finish, and machined fins are added for a distinctive look. 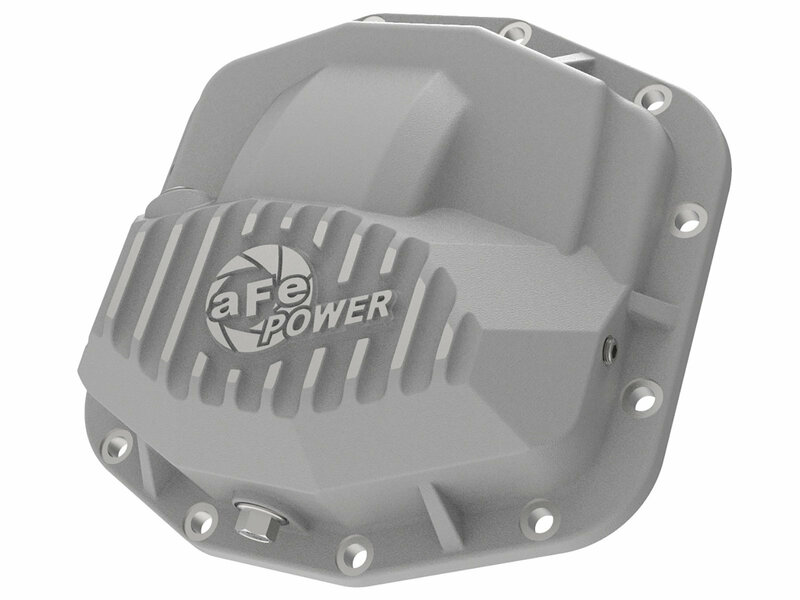 When it comes to engineering for power, performance, protection and value, aFe Power is an excellent choice. 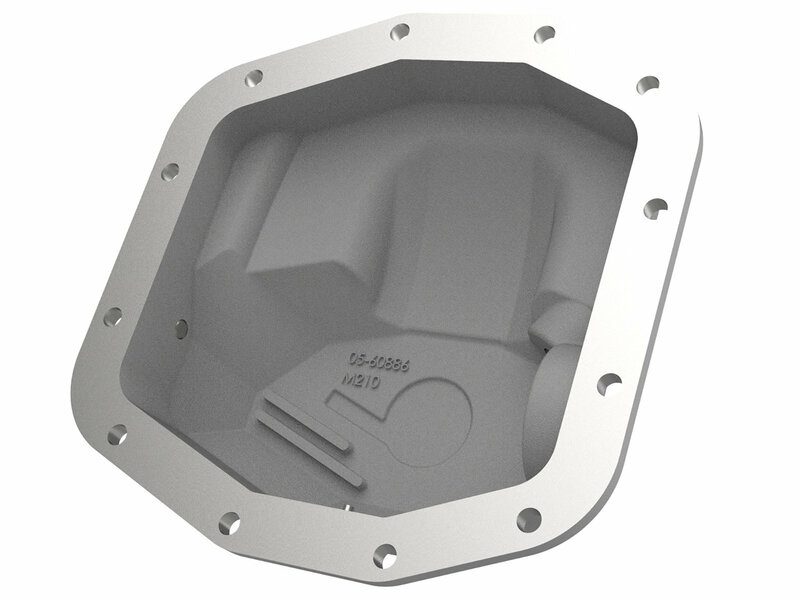 Heavy-Duty Construction: This differential cover is constructed out of durable cast aluminum with reinforced ribs for maximum strength. 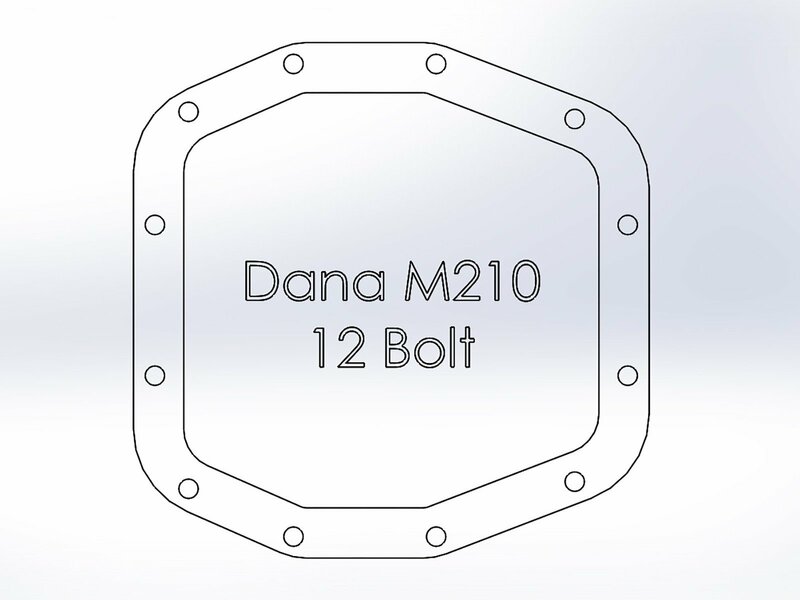 Increased Oil Capacity: This cover has an increased oil capacity over stock for better performance over a longer duration. Built-in Internal/External Fins: Built-in internal and external fins transfer heat from the oil to the outside air for maximum cooling. Magnetic Plugs: Dual neodymium magnetic plugs are used for maximum gear protection. This system incorporates a magnetic drain and deep reach fill plug to capture loose particles for maximum protection. Calibration Plug: The Calibration plug is set to the factory oil level to eliminate overfilling. Oil Level Sight Glass: A pre-installed oil level sight glass allows quick and easy oil inspection.